When looking for the best recurve bow for the money, there is a lot of information – and misinformation regarding what exactly makes a great recurve bow. Luckily I am here to go through all the different details you could possibly need to consider when it comes to buying a recurve bow. We’ll consider the different types of materials used in the manufacturing process while considering some of the more affordable options and how they differ from the high-performance models. Either way, we’ll have you pulling the strings of the best recurve bow for you in no time! When making any type of purchase online, it’s important to do the necessary research. There is nothing worse than spending your hard earned money on something that will fall apart only after a few hours of use. We’re here to avoid any disappointment and will only include reviews of the best recurve bows that have stood the test of time. No junk here! The first thing you’re going to want to consider is what exactly you’ll be using the bow for. Are you going to be using it for hunting? Or maybe just target shooting in the backyard? Maybe you’re a modern day robin hood and need a recurve bow to protect the motherland! Whatever it is, it’s important to have an understanding of what you’ll be doing with your bow as it will help determine what exact type of bow you’ll be buying. What is Draw Weight Right For You? One of the important points to consider for your purchase is in direct relation to how advanced you are as an archer. For example, if you are not particularly strong or maybe don’t have too much experience with recurve bows, then you may want to consider buying a bow that has a lesser draw weight versions available. If you make the mistake of buying a bow with a heavy draw weight and you plan on using the bow for practice a lot or at the range, you’ll tire extremely quickly. If this is the case, I’d recommend a bow with a draw weight of 40 pounds or less. However, if you already have some experience with recurve bows, have a good level of strength and will likely use your bow for hunting game, you then want to consider a model that offers a draw weight of 45 pounds or more. Again, if you’re a recreational archer, consider something light. Archery should be a fun and relaxing activity and if you are cringing with every shot, you’re not going to be having much fun. Below, we’ve listed the draw weights that would be appropriate for anybody that might be considering buying a recurve bow. Small Youth (55-100 lbs.) 10-15 lbs. Larger Youth (100-130 lbs.) 10-20 lbs. Small Frame Women (100-130 lbs.) 15-30 lbs. Medium Frame Women (130-160 lbs.) 20-35 lbs. Athletic Teens (130-150 lbs.) 25-45 lbs. Small Frame Men (120-150 lbs.) 20-40 lbs. Large Frame Women (160+ lbs.) 30-50 lbs. Medium Frame Men (150-180 lbs.) 30-50 lbs. Recurve Bow Weight:- Similar to the draw weight, you want to consider the actual rate of the bow as well. Too heavy, you’ll be cursing the bow every time you have to use it or have to transport it somewhere. Too light, and it might not offer the force required to handle the variety of activities you’d like; particularly hunting. 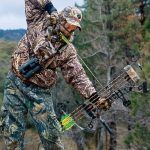 If you’re considering a recurve bow for hunting, make sure to do some extra research as there are a variety of factors you NEED to have right before hunting any game. It’s both illegal and morally wrong to hunt animals if you’re the weapon doesn’t offer the power to kill an animal humanely. The durability of Recurve Bows:- You work hard for your money, you want to make sure that whatever recurve bow you buy, that it’s made of high-quality materials. In most cases, you want to only consider bows made of fiberglass as they’ll generally be lighter and will be extremely durable. There are a variety of pieces that make up the bow and you’ll want to ensure that they are of high quality. We’ve done the sorting for you and rest assured, if you buy from our list, anything you buy will be decent quality at the very best. Do remember, that much like anything, you get what you pay for and recurve bows are no different. Known for designing some of the highest quality bows and bow related products, Samick Sage is a favorite of ours when it comes to the best recurve bows for the money on the market. The 62” bow includes a B-50 bowstring and arrow rest along with a pre-installed brass brushing that can be upgraded to a brass plunger, stabilizer, sight, and quiver. Fantastic for the beginner because it’s relatively inexpensive the design as well is perfect for those new to the sport and are working to build their stance and develop the basics of shooting. Retailing somewhere around the $150 mark, the bow will further retain its value because of the removable limbs that be sorted out as the shooter becomes more experience and/or stronger. When ordering online, you can choose the draw weight from 25lbs to 60lbs and either a right-handed orientation or left. RECOMMENDED MAX DRAW LENGTH: 29"
One of the more recognizable brands in archery, the Martin Saber is slightly longer than the Samick Sage offering at 64” and is also heavier than the Samick Sage as well. A little more expensive as well, the Martin Jaguar is definitely a more robust bow. This particular model only is available to right-handers and comes in either a 40lb or 50lb draw weight. It comes apart for simple storage and is very easy to put together no matter what condition you’re in. Performance wise, the Martin Jaguar is a fantastic bow for the money. Consistent among archery competitors, it’s a fantastic recurve bow for the money. One of the easier recurve bows to take apart, the limbs connect to the riser with one large screw on each end and does not require a screwdriver to take apart or put together. A huge plus! 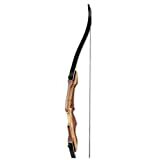 It’s also an extremely affordable recurve bow. 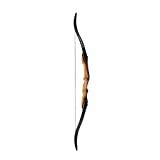 You can find it on sale from Amazon for often times less than $100 which makes it ideal for beginner bow users. Also, it doesn’t matter if you’re left or right handed as the interchangeable limbs make it really easy to switch. You have a few different draw-weights to choose from but since I recommend this bow for a beginner, I also recommend a low draw-weight to match. One thing to be aware of is that this bow only comes with the recurve bow and string. You’ll still need to buy a bow stringer, arrows and a target (if necessary). 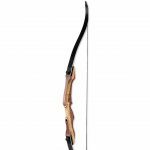 The SAS Spirit Recurve bow is a beautifully sculpted bow with a handle that feels perfect. 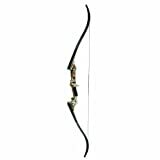 Another great value bow, you can again often find this bow for less than $100 from Amazon. Typically the price point will also indicate who the SAS Take Down Bow is made for – you guessed it! Beginners! The draw is tremendously smooth and the release is clean. Like I said – great for beginners. You have a variety of sizes to choose from but be careful and remember that one size definitely doesn’t fit all. 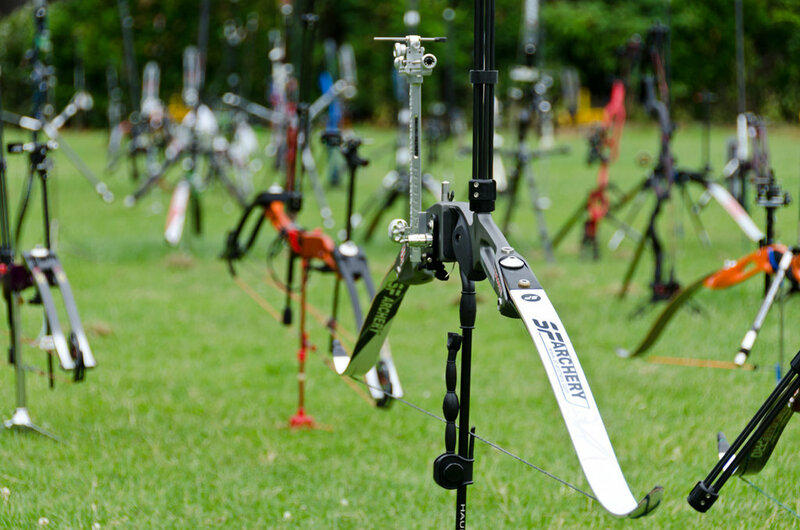 Remember to check our sizing chart above to choose the right bow size for you. In the case of the Take-Down Recurve Bow options include 22lb, 26lb, 30lb, and 34lb. I have had some issues with customer service from SAS. I would be cautious on this front as it’s one of those things of ‘you get what you pay for’! Recommended shooter heights up 5'7"
This item is fully covered by Southland Archery Supply 3-year limited manufacture warranty. 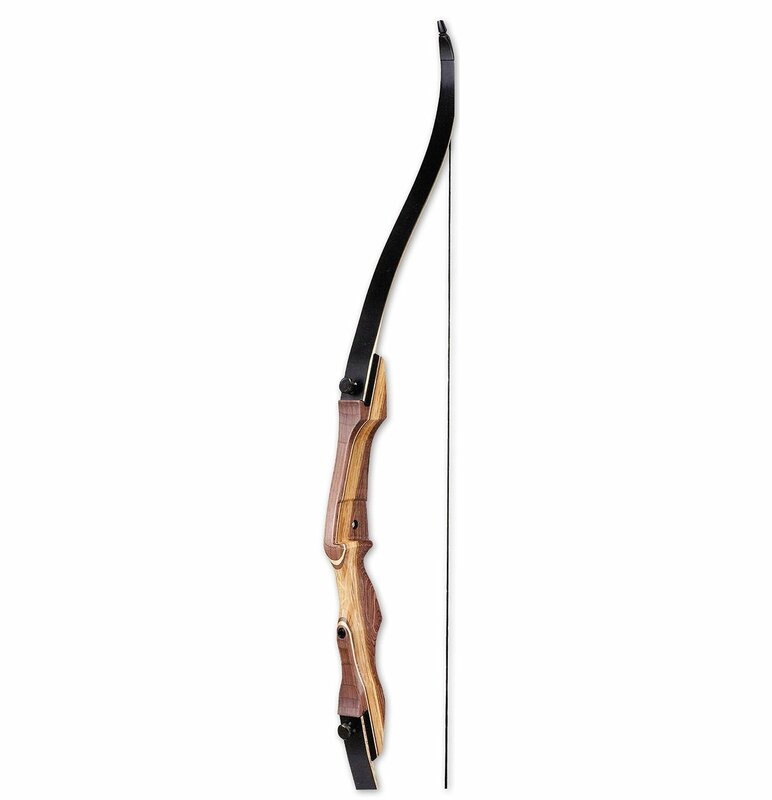 An extremely versatile intermediate level recurve bow, the Explorer 2.0 is a popular bow among my customers. Crafted from hand-selected Oak, Walnut and Hard Maple, the construction of the bow is immaculate. I honestly can’t say enough about how gorgeous this bow is. It offers a convenient 3 piece take-down design which allows for easy assembly and storage during the off-season. Also, I really like how transportable this bow is. I am someone who likes to go camping a lot and you know as well as I do how difficult it is to pack a car when going camping! It’s almost like you always have JUST enough room. With the Explorer 2.0, it’s not like you need to clear our 6 feet of space to make room. The performance of this bow is also really impressive. I personally have the 35lb bow and it sure packs a punch. I haven’t used it for hunting but I’m able to slam a target from a pretty great distance away. I absolutely love it. Do yourself a favor though and buy a stringer and a shooting glove with this bow. It will help. “A recurve bow which is perfect for the whole family. Definitely worth the money. Beautifully crafted from hardwood of maple, oak, and walnut I can tell it’s going to last for a long time to come. The Leader Accessories 40 lbs Compound Bow has an ideal draw weight of 40 pounds and a bow length of 61 inches. For the price on Amazon.com, this hunting bow is an ideal beginner piece. Its 3.5-star review does not do the item justice with the majority of customers being extremely satisfied with the unit. One customer only had one complaint and that is that the item title is misleading. The bow is a recurve bow, not a compound bow. Other customers had a hard time assembling the bow and following the instructions. As far as accuracy, use and quality are concerned, all customers were satisfied with the product. Draw Weight: 40 lbs. 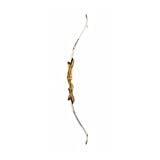 Draw Length: 28"
This recurve bow from iGlow has a 40lbs draw weight and a 61-inch bow length. It is lightweight coming in at 3.6 pounds. The product comes with an arrow rest and two sight pins. The bow costs under $100 on Amazon.com and boasts a 4.3-star consumer rating. Many customers are thrilled with the quality, quick shipping and shot strength. One common complaint is that the string should be of a higher quality with multiple customers mentioning that it broke on them very quickly. Draw Length: 28". Total Length: 61". Weight: 3.6 lb. These strengths range from 25 lbs all the way to 60 lbs with either right or left-hand orientation. 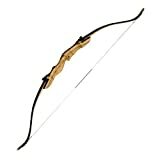 Customers have rated this bow a whopping 4.7 stars on Amazon.com. Happy customers were extremely satisfied with the value vs. quality, the quiet nature of the unit, its aesthetic appeal and its easy takedown that can be done with bare hands. There were a few customers who seemed to have issues with the assembly and some found that the unit broke on them after multiple months of use. These negative reviews were few and far between. 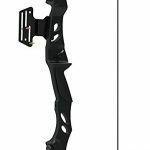 Recurve Bow Accessories:- When buying a recurve bow, many of the bows that you’ll see will require accessories to make them perform to the best of their ability. It’s important to know which accessories you’ll need and I encourage you to check out our extensive guide to the best recurve bow accessories. In the meantime, let’s touch on a few of the must-haves. Bow Stabilizers:- The stabilizers main function is to eliminate noise and low vibrations. Stabilizers come in all different shapes and sizes and although all stabilizers screw into the bow some versions employ a more sophisticated anatomy. They are easy to install and are great to add to some of the more powerful bows as it makes it much easier to shoot, especially if you plan to shoot over and over again with your bow. Bow Stringer:- A bow stringer is a must have for anyone who picks up a recurve bow. It’s ultimately the only way to safely and consistently string a bow. 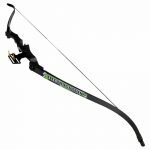 It allows you to safely use your body weight to bend the recurve bow and slide the string over the tips of the bow limbs. There is a more manual version that you can also use known as the ‘step-through’ method but it’s dangerous and not recommended for your recurve bow. Recurve Arrows:- What’s a bow without arrows! Arrows are the next thing on the list (although perhaps first) you should pick up with your bow. Purchase more than one as there is nothing more frustrating than shooting your arrow and immediately having to go and retrieve it. You can get arrows from many sporting goods store or you can check out our guide has some great links to arrows you can buy on Amazon. Make sure to get arrows that are the right size for you or else you’ll be struggling to shoot with power and accuracy. Nocking Points:- The main purpose of the nock point is to provide consistency with your shot. It also helps to make sure you don’t nick your hand with the arrow’s fletchings. In some cases, your bow will actually come with a nocking point but not in all cases. Double check to ensure. Targets:- Similar to the arrows, what’s a great recurve bow without a target. You’ll need something to aim at so you might as well pick up some of the best arrow targets available. 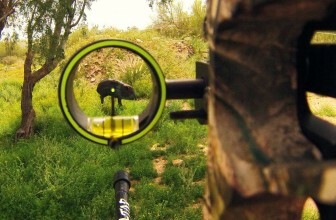 Targets are a necessity and can be both basic or fancy. I remember the one time I forgot to pick up targets and I made my own out of cardboard and markers. It got worn out pretty good. It’s worth spending the few bucks on a target that will be built to last. Arm Guard:- An armed guard is great for protecting your forearm and sometimes your entire arm. It’s great for beginners who are learning the proper technique as scraping your arms is common. As you pull the string back, learn to adjust your elbow vertically to keep most of your arm out of way from the string. This will eventually allow you to get away from the arm guard but is a necessity when you’re first practicing with your new recurve bow. 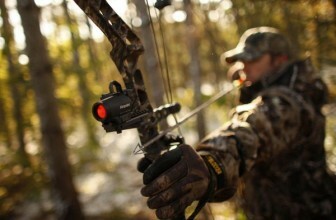 Arrow Rest:- If you bow doesn’t come with an arrow rest, you’ll want to get one right away. The arrow rest is what the arrow sets on as it is drawn, and can come in a couple of different styles. There is the basic version which is simply fixed rest but more a more complicated drop-away rest that falls out of the way as the arrow is released. If you’re new to archery a simple arrow rest will do the trick. Bow String Wax:- For keeping that bowstring lubricated you’ll want some bow string wax. When you take a really close at a string, you’ll notice it’s made up of millions of fibers that make up one long strand of string. 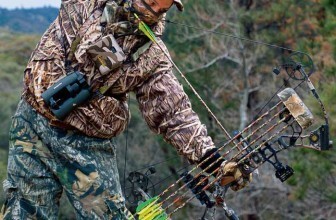 If not properly taken care of, the string will begin to fray and you’ll end up being in the market for a new bowstring. Bowstring wax will also help protect against the elements including water and other elements you might encounter in the outdoors. Ensure you buy high-quality bowstring wax and apply every 2-4 weeks. Noise Reduction: This is the single most important part of bow hunting. You need your bow to be as quiet as possible. Imagine you just spent hours tracking that ideal prey, setting up for your perfect shot and then bam! The animal gets spooked by some random sound generated by your bow as you string it. Choose a bow that is designed to minimize noise. Pay attention to the types of material the limbs are made of. They will often include a dampener or another silencing element. 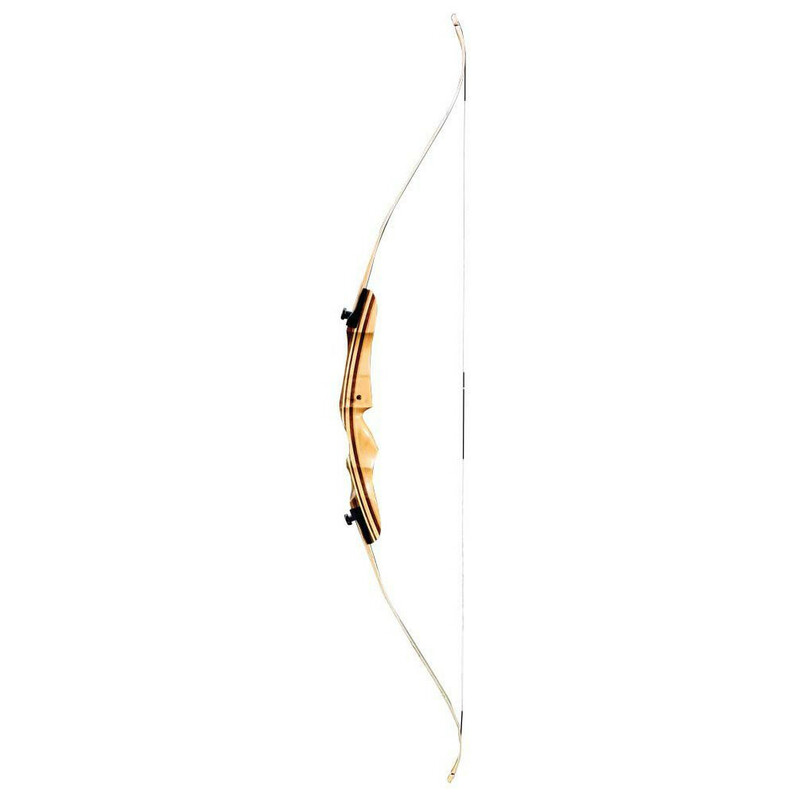 Draw Weight: You will want to choose a recurve bow that has a draw weight of at least 40 pounds. You want your arrow to be able to penetrate and pierce your prey deeply. If you do not get a draw weight heavy enough, chances are you are going to simply injure your prey and it will run off. This is poor practice and unethical. It is recommended that you ensure you can physically handle a draw weight over 40+ pounds. Practice makes perfect. 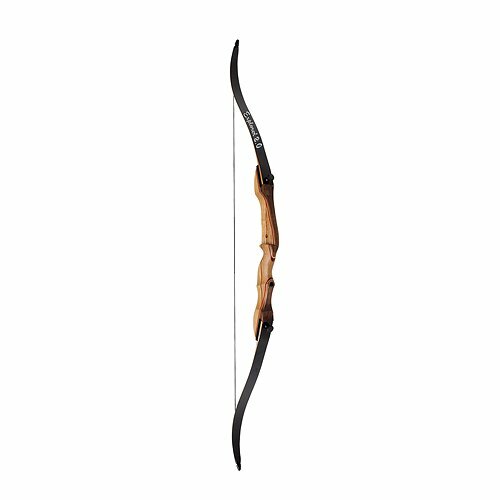 Recurve bows are also great for target practice, which you should be doing before taking to the woods to hunt an animal. Bow Length: The longer your bow, the more accurate your shots will be. It is advisable to get a minimum bow length of 58 inches. More often than not, most recurve bows are over 60 inches in length so this shouldn’t be a problem. 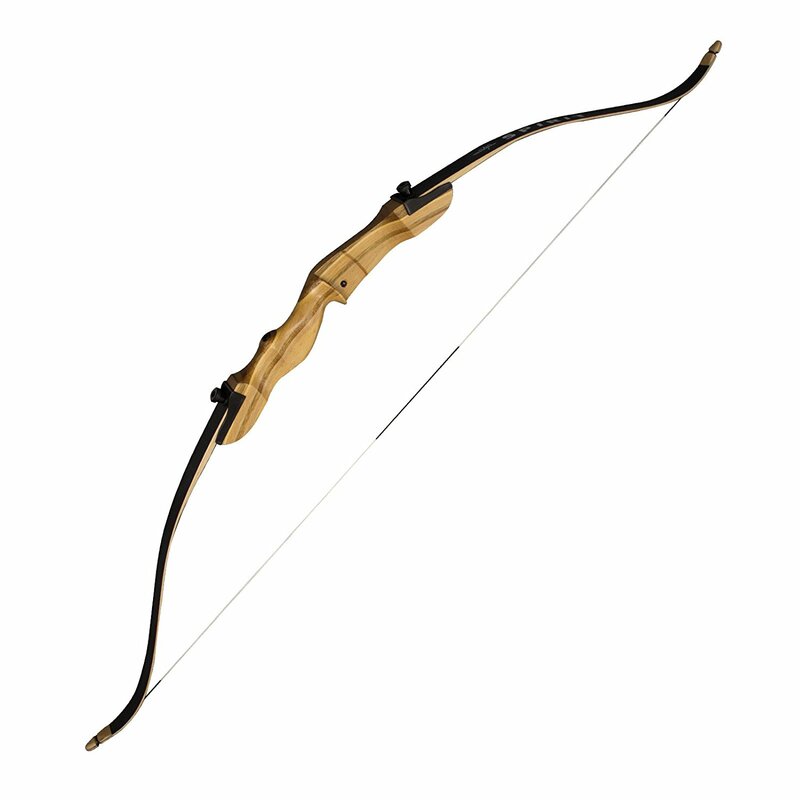 Easy Transportation: Imagine carrying a 60 plus inch bow safely through the thick bush without bending or damaging it. Sounds like a hassle doesn’t it? It is best to choose a takedown-style bow. This will allow you to detach the limbs by unscrewing a few screws. 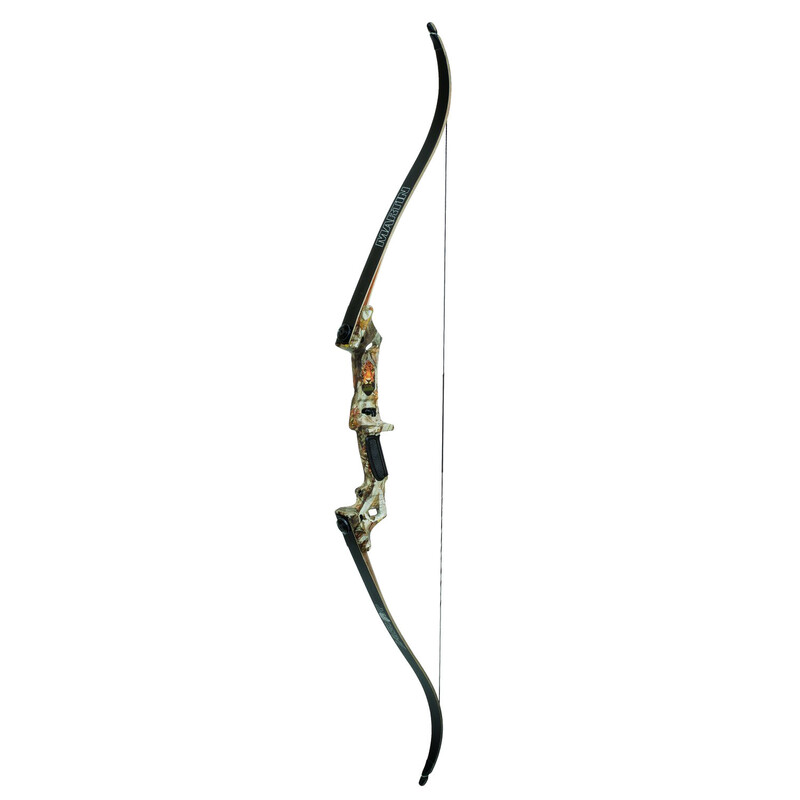 There is much quality recurve bows to choose from that accommodate every budget and skill level. Keep in mind that the bow you choose needs to have a quiet application, minimum bow length of 60 inches, a minimum draw weight of 40 pounds and should be easily transported. Consider as well pairing your purchase with some great accessories including a tree stand and single pin bow sight.